These outdoor foggers are great at spot treating areas in your yard that have problems with mosquitoes. This indoor fogger is very effective at treating tough indoor infestations. This method gets in hard to reach places. This 100% organic mosquito fogger is effective at treating outdoor infestations and creating a perimeter around your desired outdoor spaces. If you are completely fed up with the mosquitoes in your yard, and you are ready to banish them for good a mosquito fogger may be the way to go. Instead of having to spray yourself and your guests with bug spray, a fogger will take care of a large yard and get rid of all the mosquitoes easily. In this article, we are reviewing some of the best mosquito foggers on the market for 2019. We are also going to discuss how a mosquito fogger works and why it’s one of the best methods for eliminating mosquitoes from your yard. What is a Mosquito Fogger? This outdoor bug control fogger is great for spot treatment of outdoor areas like patios, porches, and campsites. You spray these foggers on trouble areas in your outdoor space, and it creates a barrier keeping the mosquitoes away from that area. In addition to killing mosquitoes, the sprayer also kills other pests like flies, gnats, and ants. The foggers come in packs of one, two, six, and twelve. Spraying areas from five to ten feet away will protect up to 1200 cubic feet. Before spraying areas in your yard be sure to eliminate any excessive standing water, so you reduce the likelihood of mosquito breeding. The spray does not kill the mosquitoes or their larvae it just keeps them away. This fogger is intended for indoor use and is capable of killing off a large indoor infestation of mosquitoes. The fogger requires very little prep work because you do not need to shut off your pilot light and the dry fog leaves virtually no mess, so you do not need to wash all your linens after you fog the home. They still recommend that you cover any exposed surfaces like plates, utensils, stoves, kitchen counters, and any food. 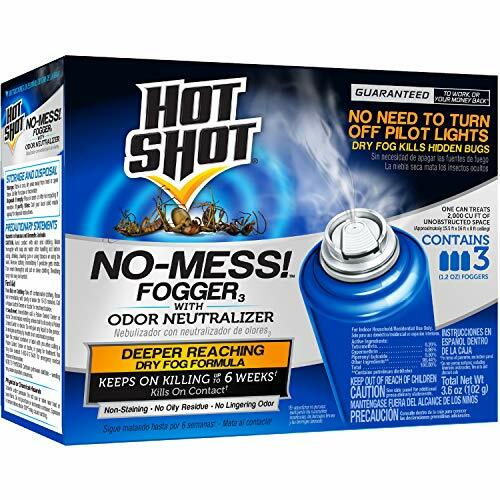 The fogger contains a secret deep-reaching formula that is known for getting bugs in even some of the most difficult to reach areas, so this is great if you have issues with mosquito larvae or small amounts of standing water in a moist basement. One box comes with three foggers, and one fogger is capable of treating up to 2000 cubic feet. The manufacturer recommends that you treat every area of your house and that you open up all the cabinets and drawers to be sure you get every single corner of the home and do not miss any larvae that may be developing in hidden areas. This organic mosquito fogger works at keeping mosquitoes and other flying pests away from you for up to eight hours. This product is intended for outdoor use and can create a barrier around an outdoor space if you spray trees and bushes surrounding the area you want to protect it should offer protection to the area within. 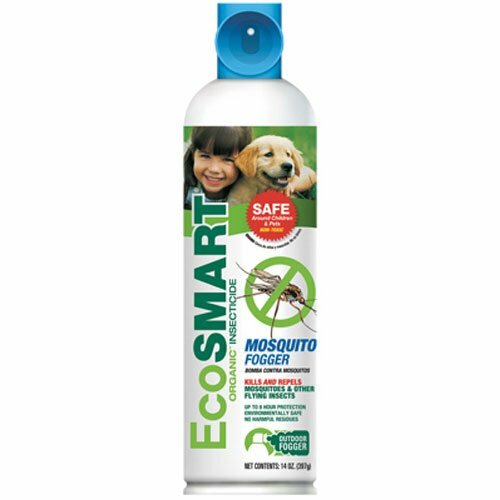 The blend of repellent in the EcoSMART spray is 100% organic so it is completely safe around pets and children and will not kill your plants or greenery if sprayed directly onto it. The spray contains no harsh chemicals and is 100% odorless. If you spray the fogger directly onto the mosquitoes it kills them on contact otherwise it is typically used as a perimeter fogger to protect larger areas. This thermal fogger is made in the USA and can be used with both oil and water and is effective indoors and outdoors. This fogger also has a variety of purposes other than controlling the mosquito population in and around your home. The fogger is effective at reducing mold and mildew and for sterilization and sanitation of your home. The Tri Jet fogger sprays a light mist up to thirty feet in one direction and is very popular for use in hospitals, food processing plants, schools, and warehouses. The fogger is simple to set up. You hook the energy source up to the base of the fogger and set it to your desired setting. This one can fog an entire 2500 square feet home in less than ten minutes. The fog will stick around for a few hours, so it’s important to keep all pets out of the home during the fogging. Once the fogging is over your clean up will vary depending on what type of fog you used. If you use something that is non-toxic and dry, you won’t have to worry about much cleanup. This is a fogger refill that works with Black Flag, Burgess, Cutter, and Repel thermal foggers. The refill liquid requires no mixing and is ready to use right out of the container. The insecticide has no odor and takes about five minutes to disbursed from a treated area. Applying this fogger liquid to the fogger device of your choice offers you protection for up to six hours depending on the system you are using. This is only fogger liquid and does not come with an operating device. A fogger is a device that sprays down a large amount of area for the treatment of bugs. The main difference between a fogger and a spray is that a fogger is not an aerosol can. A fogger typically gets powered by propane or electricity and covers a lot of ore surface area. The fogger then converts the liquid into a very light mist that is intended to spot treat areas around your home and yard. 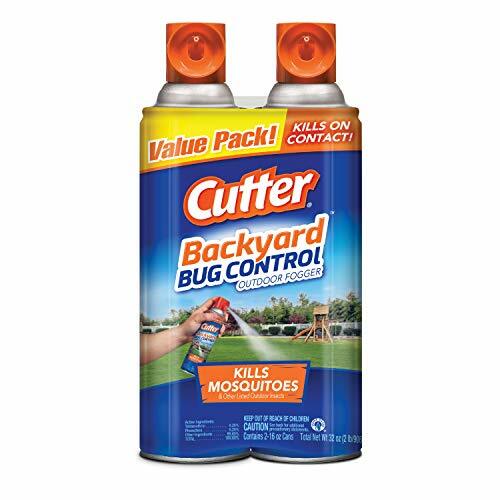 If you spray the perimeter of an area you are trying to keep bug free, the interior of that area should be free of mosquitoes for at least a few hours. There are two main types of mosquito foggers so in this section we are going to break down the two most popular types and how you use each of them. 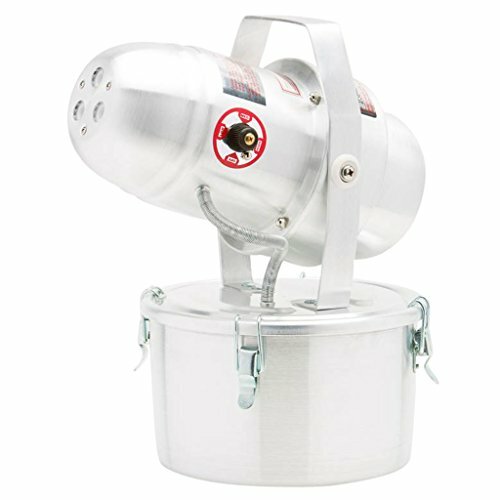 This type of fogger is typically meant for use outdoors because it uses a power source and high temperatures which can become a fire hazard. This is not true for every type of fogger, but it does apply to most. Electric: These foggers get plugged in to be used or use batteries. Gas: These foggers run on propane and serve the same purpose as the electric ones. These foggers do not require a heat source, but instead, they are pneumatic and powered by air pressure. This type of fogger is very quick to use because it starts almost instantly. It’s just as effective as a thermal fogger and is up to personal preference. The main advantage of a cold fogger is the fact that they are not any fire hazard. Mosquito foggers are a very powerful solution for mosquito control, and they can get used in a variety of different settings including campsites, backyards, pool areas, and basements. The best use for a mosquito fogger is when you know there is going to be a large group of people in the area for an extended amount of time. This is why mosquito foggers are also very popular for outdoor concerts and large events. If you have a mosquito issue in your yard and you are planning on having a bunch of guests over it may not be a bad idea to get a mosquito fogger if you think your guests are going to be uncomfortable. Also, if you are someone who has parties often and bugs are an issue in your yard a mosquito fogger would be a good investment. One major thing to pay attention to when deciding if a mosquito fogger is a good idea for your yard is the location of your living area. If you spend most of your time in the yard near a lot of other beneficial bugs like butterflies and bees, you may not want to fog the area. You do not want to harm those insects, and unless you get a fog that is safe for other bugs (which is hard to find), you will be killing off those bugs in your yard too. The bottom line is if you feel that you cannot comfortably spend a long period in your yard without being bitten by mosquitoes than it might not be a bad idea to get a fogger. If your guests are often complaining that the bugs in your yard are unbearable, then it’s a good investment for you.